Dairy West, United Dairymen of Idaho, and Idaho High School Activities Association teamed up to provide milk and knowledge about nutrition to athletes and students. The Real Dairy Shootout has been a partnership between the Idaho High School Activities Association, Dairy West, and the United Dairymen of Idaho for over 35 years. It’s a way for Idaho dairy farms to support local high school sports and extracurricular activities. Besides basketball, other state tournaments that United Dairymen of Idaho sponsor are wrestling, track, volleyball, and debate. At Idaho’s high school state basketball tournaments this year, they donated and handed out over 25,000 half pints of milk. 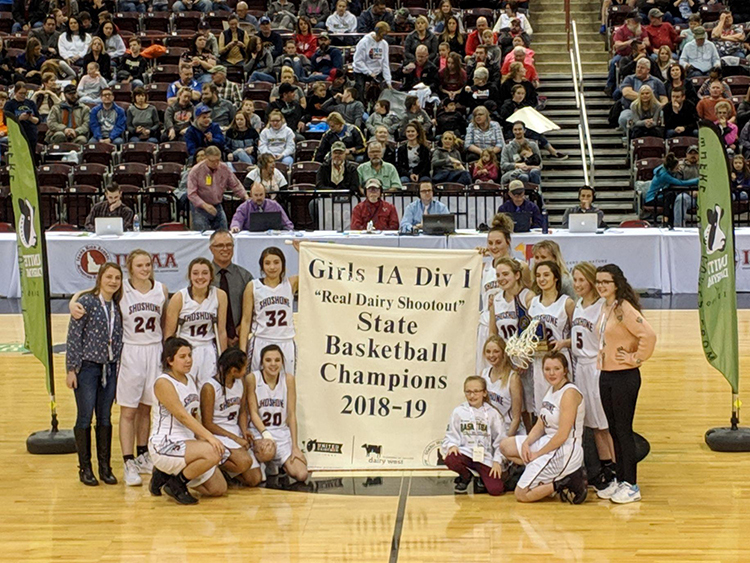 Dairy West and United Dairymen of Idaho make it known that they support high school athletics and extracurricular activities with billboards and signs at state high school events. It’s a common sight to see students holding huge cut outs of cow heads and dairy products. John Wind, of Liberty Ranch LLC, is one of the Idaho Dairy Farmers who attends the high school state tournaments. He hands out the milk and even helps give out some of the trophies. He also speaks with coaches about student nutrition. Not only do students get free milk, but they also receive sweatshirts with slogans on them like “I drink milk” and “Powered by dairy.” Dairy West and Idaho Dairy Farmers say this gives students the opportunity to set an example of good nutrition and healthy habits for their peers. Something else Wind mentioned is that as dairy farmers, we must be cautious of the image we put out there. However, this shouldn’t scare us from sharing our story and knowledge. Opportunities to be a part of the community and create a life-long positive perception of dairy and milk don’t always come along very often. We need to remain proactive; otherwise, someone else will gladly take our place and might misrepresent the dairy community.